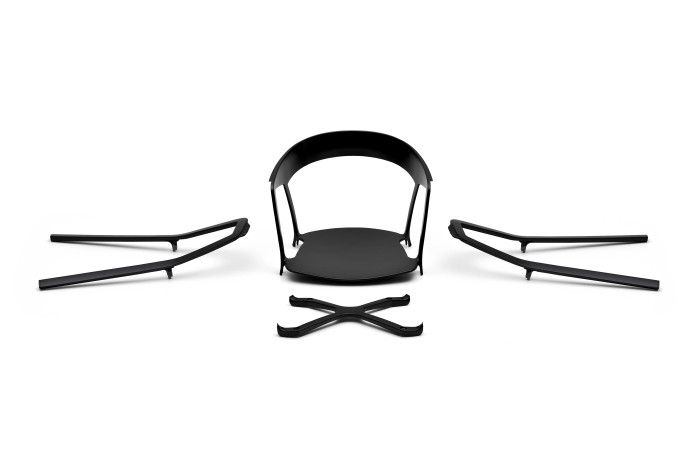 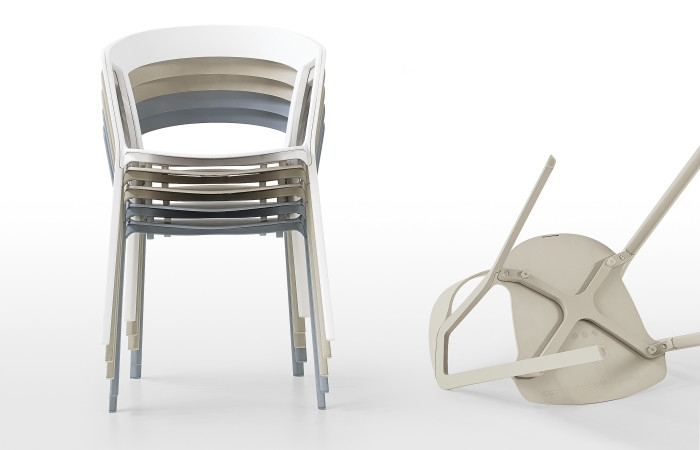 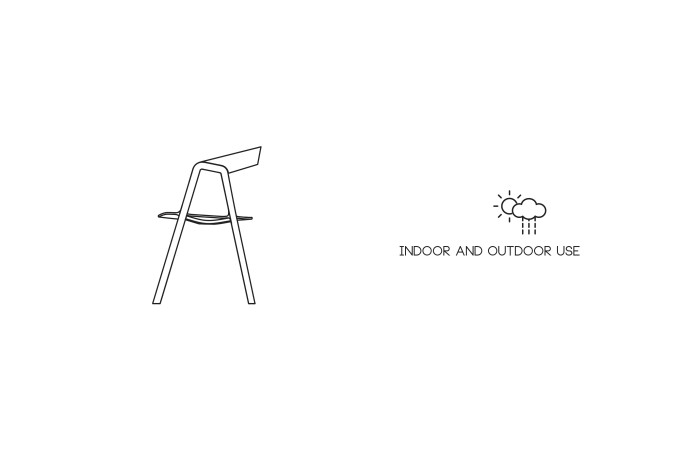 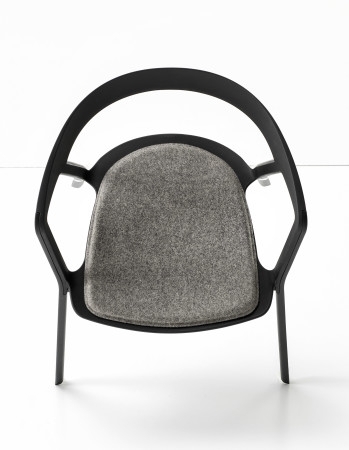 The chair design is based on the idea of a compass. 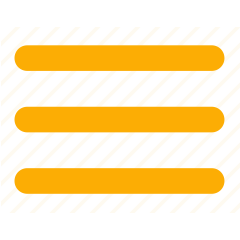 The theme achieves a beautifully clean and balanced effect by designing the legs as one inverted V.
When viewed from the side we can appreciate the balanced effect achieved by a compass. 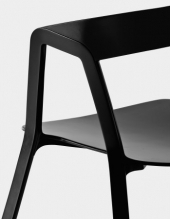 The seat itself is then sitting across these legs, which again, from the side, achieves the effect of a well-balanced and attractive design which is practical and pleasing to the eye. 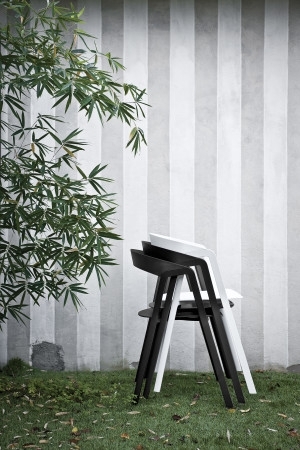 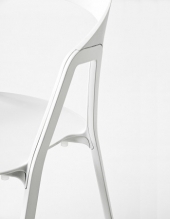 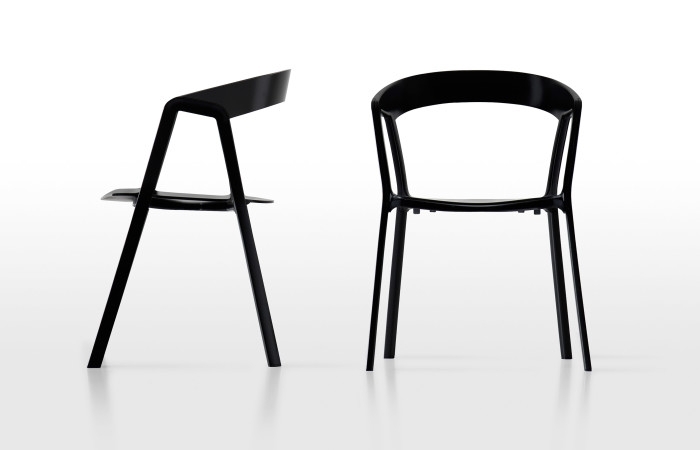 The back of the chair slopes gracefully upwards, which when viewed from the side gives the impression of an elegant flick, curving away from the crisp lines of the leg V.
When looked at from the front, back or above we see a finely balanced seat the symmetry being clean and pleasing to the eye. 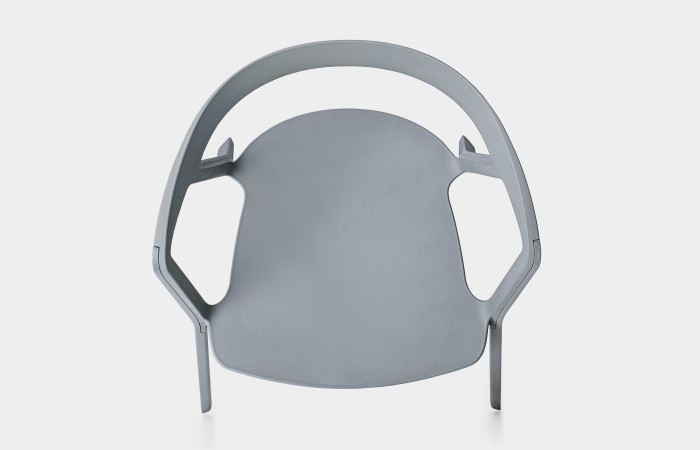 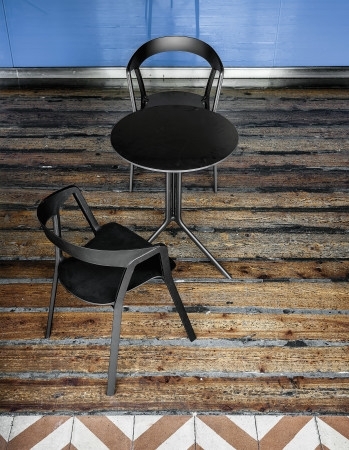 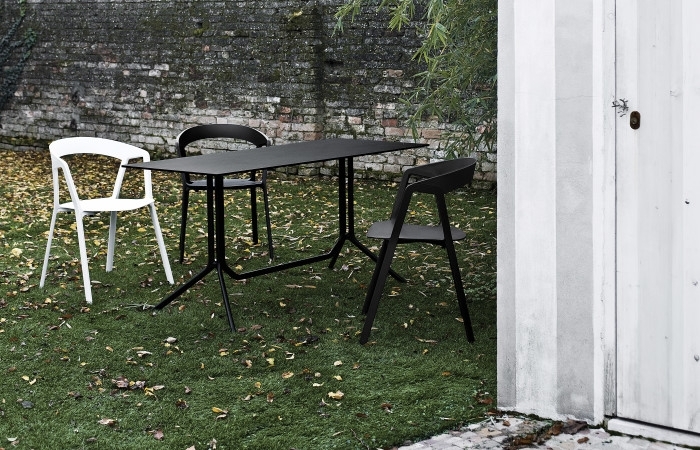 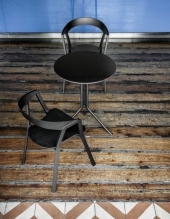 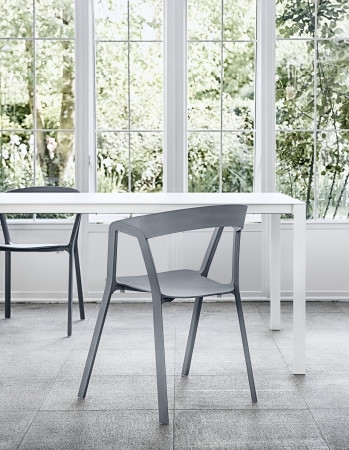 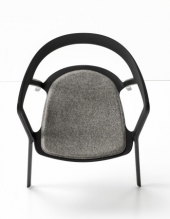 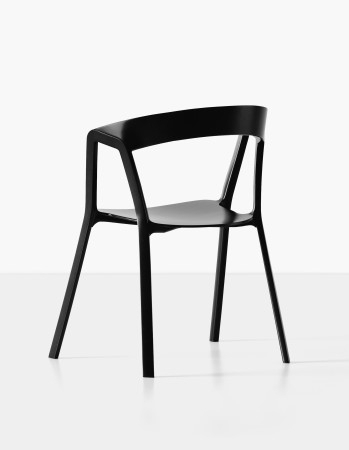 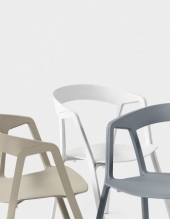 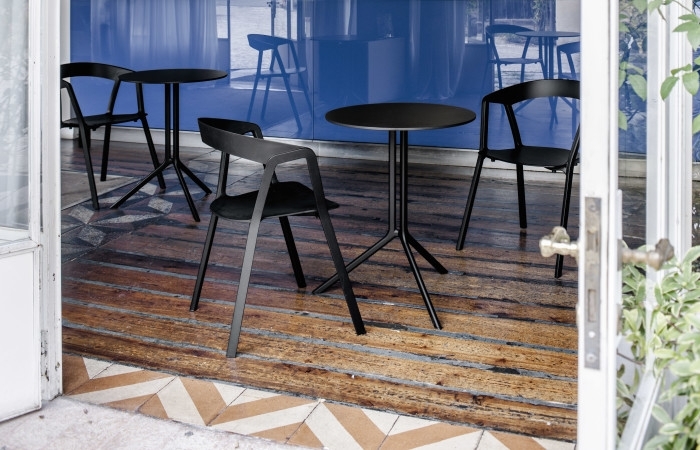 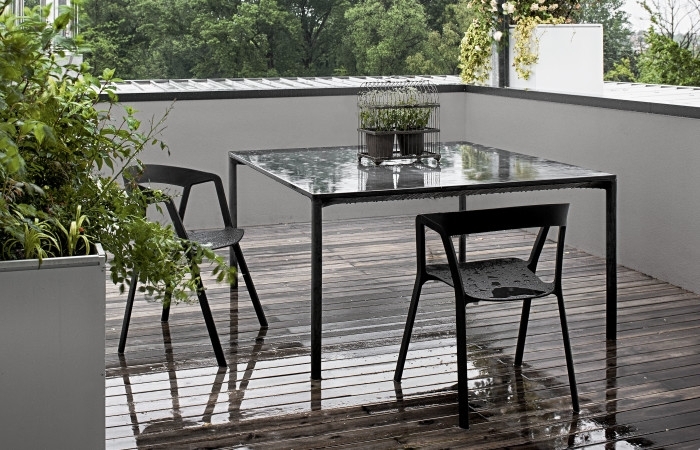 The designer chair is produced in the same polished black finish or shiny aluminium so as the product appears to be manufactured as one flowing piece rather than with contrasting colours which would disrupt its clean lines and crisp finish.